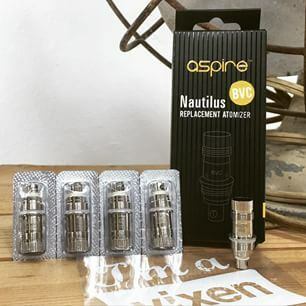 These are BVC coils compatible with the Aspire Nautilus , Nautilus Mini, and Nautilus 2 Tanks. I absolutely love these bvc coils they last a long time juice taste better cannot say enough good things about these coils. I have only ordered these one time from vv if you have a aspire nautilus you need to get these bvc coils!!! They rock!! !